Hikaru Nakamura has won his 5th US Chess Championship after beating Jeffery Xiong on demand in the last round while his co-leaders were held to draws. 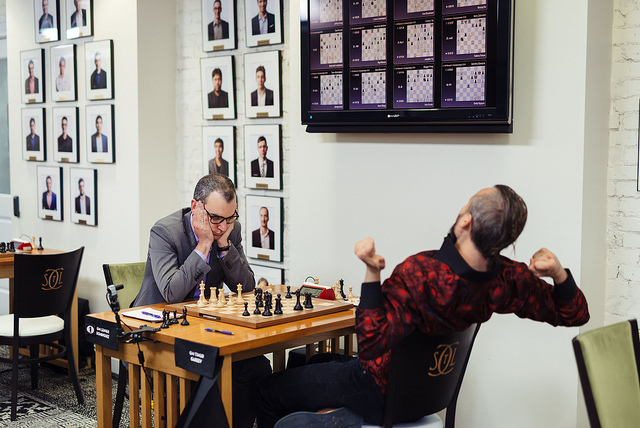 Fabiano Caruana got nothing at all against Sam Shankland, while Leinier Dominguez missed a tricky win before getting thwarted by some brilliant defence from Timur Gareyev. 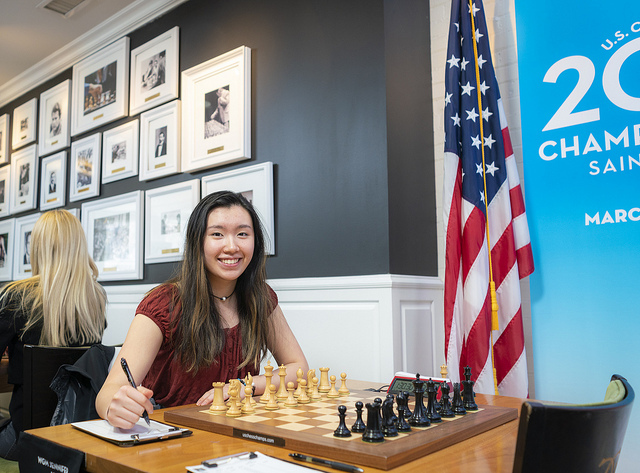 The women’s event didn’t go down to the wire but was a coronation for 17-year-old Jennifer Yu, who beat Anna Zatonskih to win with a round to spare before ending on a majestic 10/11. The final day of the US Chess Championship couldn’t have been set up better. 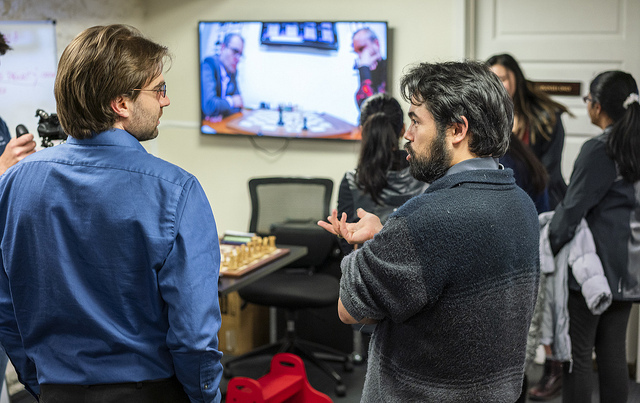 In the penultimate round the co-leaders Hikaru Nakamura and Leinier Dominguez played out a solid 29-move draw, allowing Fabiano Caruana to catch them on 7/11 by beating Aleksandr Lenderman. Here Lenderman went for 39…Rxd4, but it was clear that was just desperation. Resignation came on move 47. In the final round we therefore had three leaders, all of whom were playing different opponents. 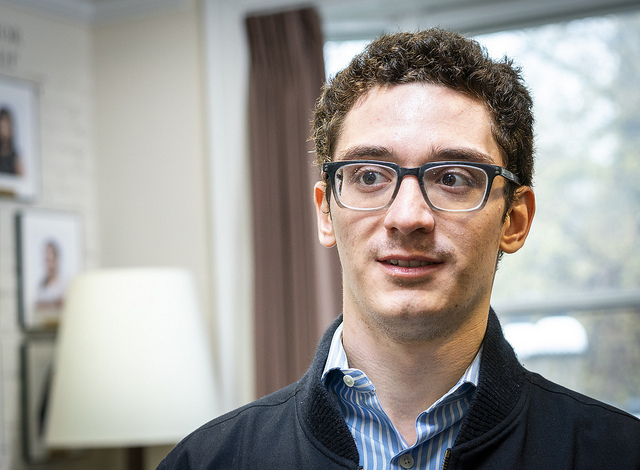 Dominguez looked to be the favourite, with White against outsider Timur Gareyev, while Fabiano Caruana had drawn the short straw – Black against defending champion Sam Shankland. Hikaru Nakamura also had Black, against 18-year-old Jeffery Xiong, who went into the round on 50%. Fabiano felt 11.0-0 Bg4 12.Qf4 Bxf3 13.Qxf3 Nxd4 14.Qxd5 Qxd5 15.Nxd5 was absolutely the dullest option Sam could have chosen. By the time both players began to think it was already clear the game would end in a draw. He created the sort of game that would have been perfect for him, or for me! Objectively White was doing well, but Hikaru noted that Jeffery was unused to playing the structures that arose, and gradually it was Black who took over. Being able to forget all that and play without fear was like harking back to the old days. 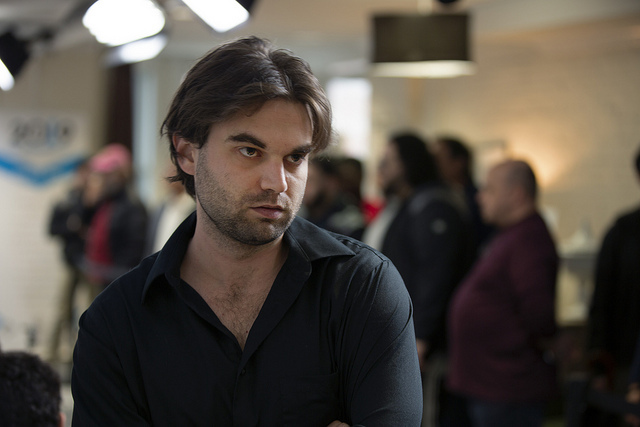 The reason Hikaru considered his game a must-win was that Leinier Dominguez had the white pieces against Timur Gareyev, who entered the round in second last place. Timur stayed true to his style, playing the Sicilian and ultimately getting a position that was lively but far from robust. …but admitted afterwards that he’d thought he was winning since he’d be able to play Qc4-b3 and slowly eliminate the pawn on b2. What he’d missed was the blunt threat Black had of Qxc3 and b1=Q, drawing on the spot. It looks like anything draws, but in fact only 74…Kg5! does, since after 74…Kg4?? 75.Ng7! the black king is cut out of play and White has a simple win. Timur made no mistake, though, playing 74…Kg5 75.Ng7 Kf6! (also an only move) and the players repeated the position. That was a case of what might have been for Leinier Dominguez, but an unbeaten +4, shared 2nd place and $30,000 was a good start to his US Chess Championship career after a 2-year break from classical chess. Leinier will soon re-enter the Top 20 as an active player on the classical rating list, and can now also travel from the US. He’s planning on playing in the Russian Team Championship in Sochi in early May. The hero of the hour, though, was of course Hikaru Nakamura, who could finally celebrate his triumph. It was a fifth title for Nakamura, who last won the event back in 2015 - the year Wesley So made his debut and before Caruana’s switch of federations. He was delighted finally to win a classical tournament, with the 14.7 rating points gained taking him back up to the edge of the Top 10 after a string of disappointing results. Perhaps the warmest congratulations Nakamura received were from the 2018 Champion Sam Shankland, who had earlier described himself as “heartbroken” not to have managed to mount a defence of his title. The final standings look as follows, with Wesley So still sharing 4th place despite getting crushed with the white pieces by 15-year-old Awonder Liang. For Awonder that was a doubly memorable moment, as he finally crossed the 2600 barrier. 31…Bxg3+! 32.Kxg3 Qc7+! 33.Kg4 Be6+ and with mate-in-2 on the board Anna resigned. Today she showed she’s really a champion. To win at the most critical moment is a skill that few people have! Jennifer, who had picked up $25,000 along with the title, could have been forgiven for easing off in the final round, but she went on to beat Carissa Yip to end up 2.5 points clear of Anna and Tatev Abrahamyan (who took $15,500 each). Tatev had scored a brilliant +5 after her first-round defeat, but we might go decades without a result as impressive as Jennifer’s! So that’s all for the 2019 US Chess Championships! 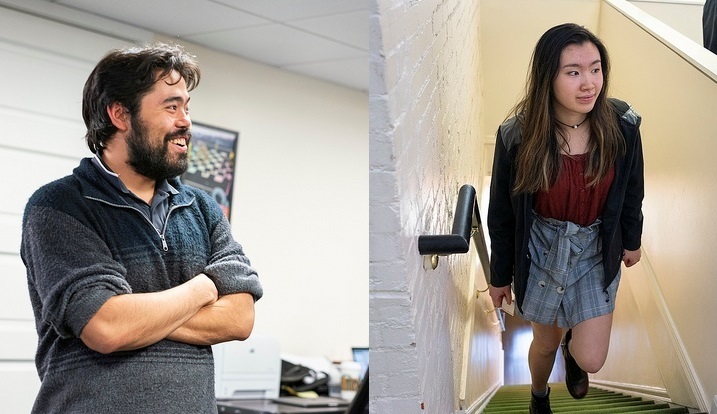 Congratulations once more to Hikaru Nakamura and Jennifer Yu, and we hope you enjoyed the show. Of course elsewhere the show goes on, with World no. 1 Magnus Carlsen, world no. 3 Ding Liren, 5-time World Champion Vishy Anand and co. already in action in Shamkir for the Gashimov Memorial. Follow that live here on chess24!